Spaying or neutering your pets does not only stop unwanted pregnancies but can have health benefits for your pets too! It is also an important decision in helping to control the population of homeless pets. Millions of cats and dogs are euthanized worldwide each year due to shelters being too full and people buying pets rather than rehoming them. In order to combat this animal shelters will neuter or spay pets before they are rehomed in order to stop adding to the ever growing population of unwanted pets. 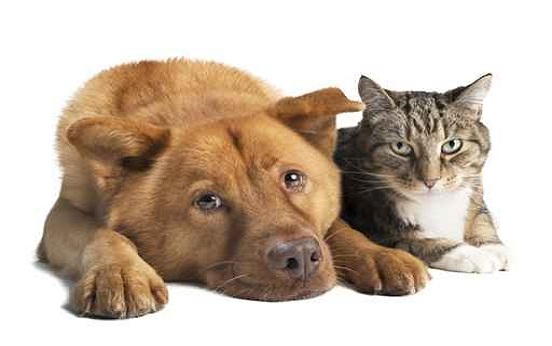 Spaying and neutering your pets can enable them to have a longer, healthy life. Spaying can reduce the risk of your female pets developing mammary tumours and ovary diseases! If spayed before their first heat the risk of your dog developing mammary tumours drops to 0.05%. In dogs roughly 50% of mammary tumours are cancerous and in cats this figure is 90% which tells us just how important spaying is. Spaying can also stop your dogs developing a serious condition called Pyometra which affects the uterus. This can make your pet extremely ill and may even cause the death of your beloved pet. Pets that are spayed will not go into heat. This will reduce your pet’s mood swings, stop them from attracting males and will save your furniture from the bloody discharge; saving both you and your pet from a lot of stress. As well as protecting from pregnancy and thus life-threatening conditions such as eclampsia, spraying will also stop your pets suffering false pregnancies where they believe they are pregnant. Signs of false pregnancies are nesting, their stomach increasing in size and milk production. Male pets can benefit medically too! By having your pet neutered you are preventing them from developing testicular cancer and some prostate problems. By neutering your cat you are also helping to prevent them catch diseases such as feline immunodeficiency virus (FIV). Male dogs and cats may also show signs of improved behaviour after being neutered. Dogs are less likely to run away in search of a female companion, so no more worrying about them digging their way out of the garden looking for fun! Male dogs are also less likely to mark territory, mount other dogs/humans/objects and may see lower levels of aggression. Male cats are less likely to fight with other cats which can lead to terrible infections and injuries and like with dogs; they are less likely to mark their territory or stray too far from home. Do bare in mind, however, that neutering is not a quick fix for all behavioural problems. It will lower testosterone but it will not fix habitual or earned behaviours.